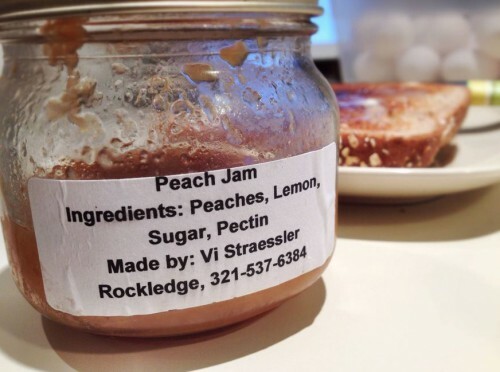 The best American peach jam by Vi! 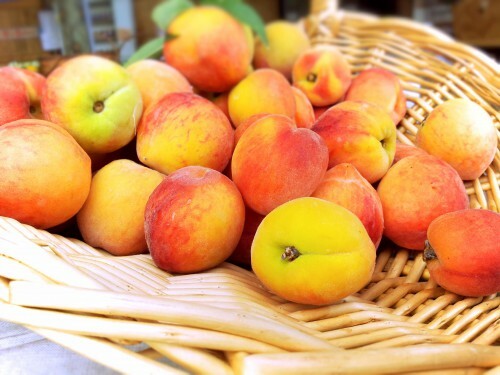 Georgia peaches are considered to be the best peaches in America and there are over 30 varieties to choose from but did you know that the peach originated in China and is actually related to the rose? In China the peach is associated with luck and immortality and peaches are a traditional birthday gift. In Georgia during 1870’s it was a tiny insect called the boll weevil that destroyed the cotton industry to make peaches the new cash crop. Thankfully, over the years the peach has been carefully farmed and has evolved from a small, tart, fuzzy fruit into the so-called ‘cling peach‘ and ‘loose-stone‘ that are popular today. 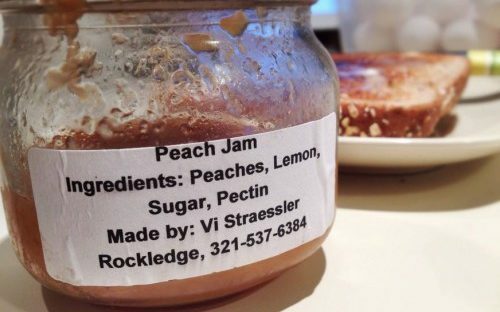 From May through to July, peaches are being handpicked on farms all over Georgia and you can expect to find Vi of Jams by Vi, in her kitchen preparing all sorts of wonderful preserves with Georgia peaches. 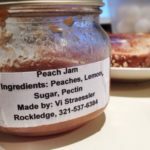 When Vi gave me a jar of her peach jam I decided to save it for a special occasion so when Anna arrived from Italy, it was time to experience the best American jam! Vi’s peach jam! Anna is diabetic and this is also the reason I saved Vi’s peach jam. It is very much like the European peach jam popular in Spain. Not overly sweet that you can’t taste the peach. 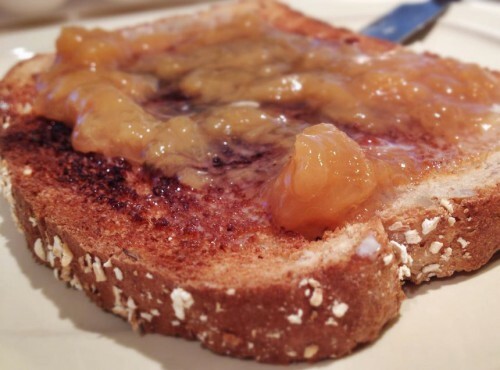 This morning, we cracked open that special jar of jam and slathered it all over some whole grain toast using bread by Busy B’s Bakery. Yep, only the best for our Italian visitor and now we need another jar! We’re looking forward to seeing you all at The Farm tomorrow and can’t wait to show Anna the amazing produce and products found there. Locally and lovingly grown, locally and lovingly made …. now that’s what we call sustainability!